Yes – these sweet burgers are cupcakes! I made these a couple of weeks ago for our American friends who came to visit us in Germany. I needed to bake two seperate batches of cupcakes, a mix of chocolate and vanilla. 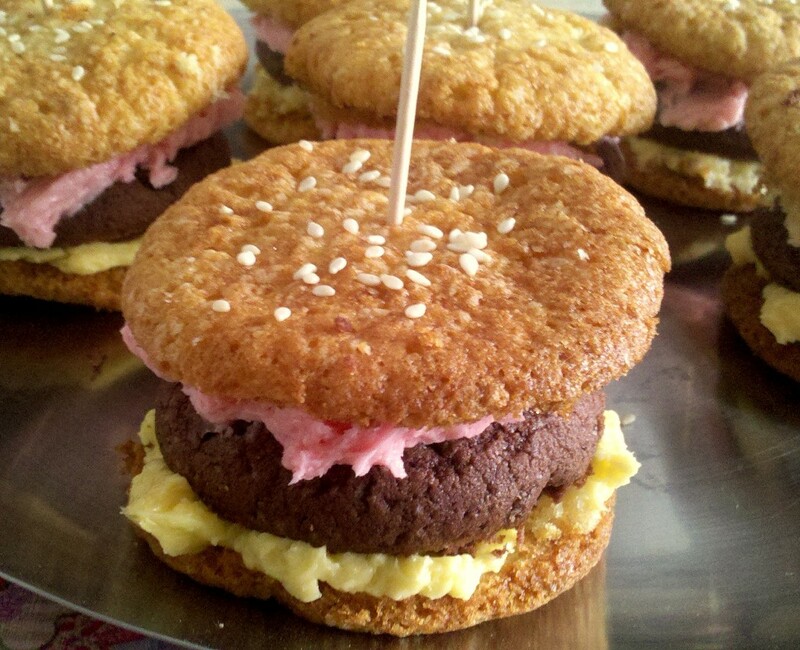 The vanilla cupcake tops are used as the hamburgers buns & the chocolate tops make the meat patty. But a burger is not a burger without sauce! So I made a regular butter cream icing and then added the red & yellow food colouring to resemble the ketchup and mustard. Who would’ve thought burgers could be a meal and a dessert?